This new energetic month is one of the most magical, as well as intense one, of all the Year. It is a very important period for the ascending souls who are consciously working on descension, and therefore, integration, of the new frequencies that we have been receiving since December, when we finally crown ourselves as the galactic beings that we have always been. For not only are we anchoring - within our bodies - the new cosmic codes that we are now able to receive, but consciously dwelling within a higher dimensional space. However, for new beginnings to exist, there must be endings. Therefore, many people who are beginning to step into this evolutionary journey are beginning to experience a dismantling of their entire lives, as they knew them, for when we take the conscious step into a higher way of living, everything familiar tends to vanish - relationships, 3D jobs, and everything whose frequency cannot coexist within our choice of experiencing a new timeline, will begin to dissolve. It is our choice to decide whether we transform the ashes of the old, or whether we consume ourselves with them, due to our resistance to change. However, as we all are unique, there are times when acting, constantly doing, instead of simply being, is forcing a reality that is not yet ready to birth. This is why is so important to take some time to commune with your soul, to know yourself and surrender to every moment, before creating the change you wish, for sometimes our human aspect is not yet ready to know more of what we came here to be and do, and we simply must be patient, knowing that this change will unfold, at the perfect time, without us trying to control and push an outcome. March is a month of change, as its 5 frequency reminds us, and as such, the turmoil of chaos can befog our perception, creating the illusion all is not heading into the perfect direction. For as humans, we tend to only believe what we see in the physical. As we keep anchoring ourselves within a new dimensional space, more of the old will be emphasized for the ascending souls, for we are now able to envision, from a wider perspective, what we were not before, when we were not occupying the "higher" (as you know there is nothing higher of lower within Creation) space we inhabit now. Due to the many changes happening at the moment in our Planet and beyond, there are many who are desperate to find light, to feed from it, for they are still choosing to dwell into 3D timeliness. This is why there are many who may feel attack and/or being affected by undesired frequencies. As always, there is nothing happening by change and whatever that occurs not just affects all but that helps all parts to integrate higher levels of love. In this new month many could feel this separation of worlds with more intensity. For those experiencing this, the challenge is to embrace more love, and be, at all times, the benevolent and loving beings that we truly are, in Essence. For it is precisely when one feels "attacked" that we have the personal choice, and opportunity, to act as the compassionate LoveLight beings that we are or enter into egoic battles. During March, our compassion, and mercy for all, will be tested, as Piscean energies remind us. Compassion has nothing to do with pity, for this is beyond human feelings, it is about recognizing the Equal Divine Spark in All, even in what we call "negative" or "dark". This is about finally acting as love conduits in whatever situation and with whoever that challenge us. There is always more happening beyond our micro or planetary system, which is why I was told by my Unified Self last year that I was going to be sharing in a different way, for I was also feeling astrology was beginning to limit me. This is one of the months that shows what is beyond the cosmic alignments, and what should be embraced, at this transitional phase, for many are not yet choosing to step into a new timeline, and all shall be respected, what matters is how we choose to respond or not at all. The embodiment of a new planetary body is a process that even if it has already occurred, takes time and above all, involved energetic changes within the opposite dimensions, the 3D one and the fifth timeline that many of us have chosen to experience. The 3D space that we are leaving behind, will increase its deep sense of polarization, which is what some people will begin to notice, if they have not yet cleared their physical and non-physical bodies. As we continue anchoring our essence within this new dimensional space, we will begin to feel freely of what previously damaged us, energetically. However, until we reach this state of being, the ascending souls will feel the deep impact that leaving polarity has in ourselves, for as we are now able to envision, from a broader perspective, what is happening in the 3D matrix, the "dark" will be also emphasized. The space between our old dimension and the new one we reside in, is filled with many negative forces, or entities, that are desperate to dwell in our light, for the massive transition of conscious souls to a new space, leave them voracious without souls who whether consciously or not, continue to feed them. As we approach the March Equinox, the battle between these entities to continue residing in these planes, will be more evident than ever before. The ones who are still navigating between two frequencies, as for the others, these dark attacks will not touch them as it used to be, will clearly feel the manipulative tactics to try to use them, again. As I always say, whether we call it dark or light, all have my respect, for all serves Creation. I do not judge what the Creator designed for our best growth. Fear - fear of lack, of being unloved, not being enough, not knowing how you can use your gifts, etc. This will also manifest in the physical: legs, hips, feet pain... as a sign of the inner paralysis you are experiencing for moving beyond the familiar. Do not use self-pity, or other disempowered tools such as self-punishment, only compassion and surrender will help you move away from doubts and lack of self-love. Repetition of old habits - addictions, and everything that disempowers you. Reuniting with the same partners or similar ones - as an indication that you have not yet mastered or learnt self-love, respect as well as the unique challenges you are here to dissolve. Confusion - not knowing where you are, where you truly desire to be or do next, for you still wish the old to stay at the same time you also desire to step into the unknown. Pain - resulting from not moving inward, and clarifying what is yet fragmented within, old wounds, genetic karmic patterns, old programming etc. Anxiety - even more if the one you feel is not just pain in your chest, but chronic anxiety, as in panic attacks, tics and tingles in mouth, eyes, or any other part of your body, without medical condition, due to unhealed chronic anxiety which is affecting your nervous system, in ways you are not even conscious. Unresolved pain is the cause of many imbalances that impedes you in embracing higher aspects of your God Self, keeping you in the frequency of fear, of unworthiness, and hence, experiencing the same old scenarios, for you are asking for them, as you have not yet become conscious of what is inside of you that needs your attention, love and compassion. 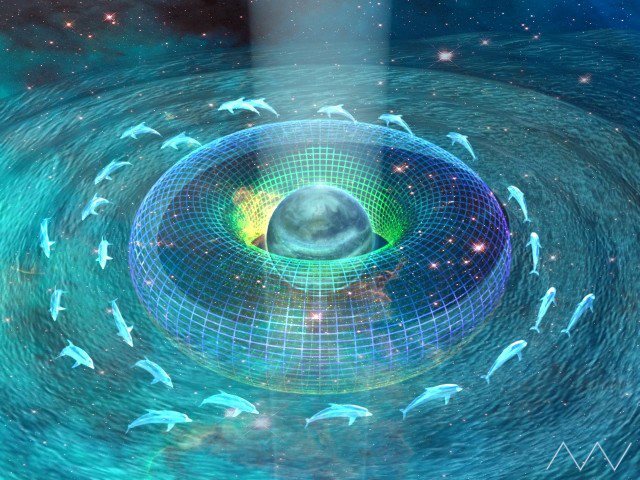 After this inner work is done, clearing old timelines is pivotal to only keep active the timelines that are matching - now - your frequency, dissolving all 3D timelines that keep you trapped in lower energies. It is essential to leave all that no longer is in perfect resonance with us, behind, for as long as there are certain ties that still link us to our past and to certain people that we are still attached to, the harder it will be for us to anchor ourselves within this new dimensional space. In the moment we even give a thought to who we used to be, to the things we have done or not, we are coming back to an old timeline, and hence keeping ourselves trapped between dimensions and/or timelines. It is vital that you are, as often as possible, in neutral observation. We all talk to ourselves, we all remember, we are after all humans, and at some point, if we become the neutral witness, we will catch ourselves in one of the old programs that are still subtly active within and that need to be cleared. Many of you may find yourselves trying to control reality, trying to mould it as you think it shall be for you, at this time. It is important that as we keep evolving, we understand that within a wise Universe and multidimensional reality, there is not such a thing as controlling what is outside ourselves, to adjust to our desires, for everything is first originated within. There are many of us feeling that the moment in which their soul awakens the human self, has arrived. It is at this time when the human is ready, that the soul begins to descend the proper light that the body can integrate for them to begin their evolutionary journey, or step into a new path. When this occurs, you may find yourself uninterested in your old life, job, relationships etc. However, this is a process that the human must experience, before he or she is ready to embrace the unknown. A life as well as all the programming integrated until the moment you are ready to awaken, cannot be erased in just one day and begin to work in whatever is you desire. Abundance, all you wish cannot occur when there are still unhealed corners within your being. All must be readjusted and carefully treated, before you can align yourself with a new frequency, manifesting the outcomes that you truly desire. The delusion of control is a pattern that humans have had for eons, for it is a part of our human nature, to begin with. Piscean energies are meant to help us flow, surrender and end a karmic cycle of many human delusions as it is our sense of wanting to control reality as well as other people. There is nothing we can control, there are only wise infinite threads that connect all within Creation, this Higher Intelligence controls nothing, for it loves and frees all. We have a unique time to work with the integration of polarities, with the creative power of the feminine to become aware of how the distorted masculine tries to manipulate, control and protect reality, allowing the feminine essence to help you bring healing, and instead of wanting to know where you are and where you are heading - flow surrender and use your inner compass to navigate through your new reality. The dimensional space we occupy now, is a non-lineal one, even though time still affects us, of course. We are multidimensional beings, dwelling in many realms of existence doing infinite things at once, even though we are not able to envision all we are and do. There is nothing we can control but our own frequency or the need to, for the more we embrace the intuition and power of the feminine, the more we will focus on being totally present in the moment, the more we will create an abundant, stable and loving reality, for when we waste our present energy into timelines that are not yet existing, the more we keep manifesting - unconsciously - outcomes that are not aligned with our true soul desires. The reconfiguration that our Planet is experiencing, in this transition, is going beyond our human understanding. The need for us to create balance, loving, and conscious, intentions, is vital to be able to hold the purity required for us to continue working with Earth Grids and the reconstruction that not just the Grids are experiencing but certain sacred sites on Earth as well as their connection to the stargates. Everything is moving into another location, therefore codes and everything of the physical too - is being shifted to be aligned to its new dimensional space. The ones who work with New Earth Grids, or the unique words you use to name your own soul role, know, for we are not just informed in the astral but many of grid workers, not all, have as their main mission to travel and physically work with them as well. So they may have noticed how they being sent to different locations, this goes especially for the ones who are meant to work with certain grids, not in general, as for example the ones who restore the grids connected to Earth's roots and so on, and may have noticed the places - mountains etc - where they used to go, have changed, for everything is now relocating within a new space to be able to align with the 5D timelines. As you may already know I recently began to be asked to share about the places in Earth which are in need of assistance and even though my human self was reticent to take this step, with time, it showed me, that we are more infinitely connected that what I thought, for people from all over the world contact me asking me how they can assist, although as I always say, this is something they only can know by moving inward, or simply to let me know they have read it and they are assisting. To me, this is precious and the physical evidence of how using these modern tools wisely can help us to bring us together and try to be of greater assistance, as One. My mission, a solitary one, in all senses, has been a challenging path, for not always the human feels accompanied. However, the more I open myself to share, the more I find souls that were meant to touch my life, in unique and precious ways, that enrich it, at the same time. We are never alone, even though by personal essence and mission, we not all are meant to travel, reunite etc, and feel lonely sometimes, our Unified Self will always orchestrate everything in a perfect way for All, simply to remind us not just of our mission, and strength to be able to fulfil it, but the wondrous reminder that we are many, connected, at all times, and that above our sense of individualism, we are never alone. I was told that there are going to be new openings, for the March equinox, to work with the bridging and healing, of old and new earth grids in certain areas of the Planet, for the assistance received, from both a physical and non-physical plane, has made it possible. The Equinox 's light amplification will allow us to be of service during weeks, for the influx will be received for not just one day. There are many areas, as it is Russia, and other places that the work will take more than we may think. On the opposite there are other places which grid restoration is easier, for they do not have such a deep damage and, if united, the work is possible and will have a deeper impact. The triangle between Myanmar (Birmania- Burma), Both Koreas, and the Philipines sea to Vietnam. There are more areas that you may feel that need assistance, for as the master and healer that you all are, you may receive more places, this is just what I received. Thank you for all the love, kindness and assistance wherever you are. This new influx from the Equinox is already being strongly felt. Since December, we have not had much time to rest, for this is a constant passage of integration. It may feel as if physical challenges and/or other issues, may never cease. This is due to the huge impact that a non-lineal reality is having upon ourselves. For we are beginning to experience a faster reality and acclimatising ourselves to it. We have yet to master expanding or contracting time, by how we feel in each moment. Thanks to all who feel guided to reunite, with me, in planes beyond the physical, where distant does not exist, and send your love and healing to these and other places you feel guided. Since I was guided to share about Earth Grids, I never felt so much accompanied. Thanks for all you are and do for All from a total space of purity, unconditional love and compassion to All beings and their different choices. There are many who are not conscious of the deep process that we are experiencing. These are the ones who have chosen to remain unconscious and whose choice is equally respected within Creation. For the ones who are on a conscious mission 24/7, will no longer jeopardize anything or anyone to our mission. Most us have been or will be judged, non-understood and ridiculed for what we share. We do not come here to be understood, appreciated or loved by anyone but Source. I understand this may sound hard, especially for the ones who remain in pain since their families or friends are not understanding. Releasing human roles, is pivotal to remember who we truly are as well as our mission, which does not mean to leave all behind if it can coexist, but to simply respect it, knowing the importance of our role, for no one else will respect it if first we do not do it ourselves. The human roles we play are perfectly planned by our soul and meant for us to remember who we are, to trigger something within ourselves that will help us overcome the personal lessons, so to speak, we are here to face. These roles are not for us to get attached to them, whether by culture, religion or anything else, and self-sacrifice ourselves. My intention is not to share a message of releasing all relationships, but to simply remind the important that separation from our human perspective and emotional baggage has, if we are walking a path of conscious evolution. The role of mother, father, etc, are meant to act as conduits to bring new souls to Earth, they are meant to serve God's Will and never their egoic desires. Humans have forgotten that they never should get attached and/or enslave their children or have expectations of how they should be and what they must do in life. I understand this is going to sound hard, however, there can only be a healthy and respectful relation when both parties focus on their mutual love and decide to respect each other - independent of their different soul missions. The same the ones who are ascending cannot expect their families to change and/or understand them, the same goes for their families. The need for us all to understand what lies behind the human roles we play on Earth is pivotal to release expectations, control and move into a space of being the caretakers for these new coming souls, instead of their controllers and/or creators. We are never the creators but the conscious helpers of these new children, those who are finally incarnating within conscious families, unlike in the past, as it was my case. For not all starseeds souls choose not to act as conduits of Source and give birth, there are ones who come to assist in that way, so the souls who came to assist could be raised by others who are already evolved. There are infinite missions, we can never limit ourselves to our human understanding of the many ways in which souls come to assist. It is important that everyone begins to practice this same acceptation within their family nucleus, for sometimes when the story directly touches us, we are not able to apply what we read and agree to ourselves, and the human, is not able to see beyond human egoic desires. According to my Guides - some of them are residing within living civilizations in other dimensions - they do not hold this strong sense of belonging in their reunions, as humans have. For they know they belong to Source and they simply take care of others until they are ready to be totally independent and help in their unique way to their society. Someday, we will also understand that when the human body is not yet able to sustain itself, we are there as mere providers - and loving beings - to create the best possible atmosphere we can for the newborns, never to have expectations. This goes for all human roles, not just for families, although all begin there. Practice what you truly feel within yourself - and your relationships - is essential for it is not about saying but about doing - that creates physical change. As bringers of love, we are here to accept every single soul - our families, friends and partners - as they are, knowing that they are here to represent an aspect of Source, as well as we are. Our mission is not to care whether they come to create or destroy, for Source has many ways to experience itself, but to simply assist - until we consider our main task is done. Sometimes the relationship will be a loving and lasting one. Other times, our main mission has been fulfilled and without losing anything or anyone, for in truth, we never lose anyone, we must accept that the soul contract has been fulfilled, cut cords and the human expectation of having the same relationships eternally, for there is nothing further from our true nature. As free beings who came to experience and assist, there is nothing that enriches us more - than being in constant change. March is a month in which we passed from the calm frequencies of February that allowed us to take some time to consciously integrate all we are facing, to the new galactic waves coming from this new month. If February has no Full Moon, for its most important cosmic event was the Eclipse, March has two Full Moons and a New one. Another confirmation that we are leaving fixed events aside, for eveything happens not according to a human plan but to a Divine One. As I said, March is a month of change, as its 14 - 5 reduced - universal frequency - reminds us. This is a month to adapt to change, for to fully anchor ourselves within the New, first, we must totally dissolve that which is hidden, deep within our subconscious, that shall perish for the sake of our human evolution. If with number one we begin by creating, continue to stabilize with number 4, with five change comes again, for it is all a constant dance between descending, ascending, forever embracing and letting all go. This is where we are, again, embracing transition, change and the freedom - that if well directed - it brings. We are passing from eons of slavery, co-dependence and addictions - to embody sovereignty, freedom and self-empowerment. This does not occur in one day. Therefore, it is important to be constantly working on self-liberation. The card that represents number 5 is the Hierophant. The Wise Man is a metaphor, for He represents a Higher Intelligence who reveals Truth for all who are ready to listen. This is indeed a phase for revelations, a passage to show us Truth and to explore the depths of our being, where we may find fragments, residing in fear, waiting for us to unify them. Number 5 has a passionate frequency as well as enabling us to embrace change, in whatever form it comes, for Mars is related to this number, whose Warrior frequency, if well embodied, is perfect for us to overcome any challenges, remembering, that every single challenge we face in our human life experience, was first, created and perfectly planned for ourselves, when we were in a soul plane. All is meant to help us, everything, even that which we consider "bad", all helps us see where we are not being the lovelight beings that we are. However, as we are impulsive by nature, sometimes eager to manifest, without the proper discernment, the essence of number 14, which also governs this month and which corresponds to the tarot card of Temperance, invites us to balance ourselves before stepping into the unknown, for, as the winged women on the Temperance card, as humans, we will always be with a foot in the ethereal and another one in the mundane. We begin this magically intense month with a very powerful Full Moon at 11 of Virgo, a master frequency that began with the Eclipse at also 11 degrees of Leo, within an 11 Universal year. This is the Moon for the ones who are working on healing, for it brings a soothing frequency that will help us - all - after the long integration phase - experienced since December - for we have been immersed within an accelerated galactic passage that enables us to begin holding - and anchoring - the new cosmic frequency that has been for so long far away from us, and our Planet. On the other hand, Virgo, especially at this Piscean time, reminds us that we are also here to shine the spark that we are - into the physical. For it is not just about building in the ethereal without giving form, but about remembering that our task is to descend all the inner worlds we give birth to - within - into our lives and not just remaining in the air, living off mere illusions and dreams. With this Full Moon in Virgo, we are being invited to work on purity, personal power and selfless service to others. This will be a healing and soothing Moon, for it will be challenged - opposed - by Neptune in Pisces, which will bring an opportunity for us to work on the dissolution of old patterns. On the other hand, the Moon will harmonize - trine - with Saturn, this is asking us to take full responsibility for our journey. It is also a very good alignment for those who are still in their healing process, for it will bring strength and stability from our own human delusions. On March 6, Mercury, the Winged Messenger and Venus, the Planet of Love and Abundance, will enter the sign of Aries. Mercury rules communication, in Aries, a sign focused on constantly doing. Mercury tends to take decisions without much thinking, for it is eager to manifest in the physical. This is an opportunity for those who are impulsive to change their lives, to be constantly acting, without first taking the time to commune with their souls to only act, at Divine Time, in the creation of something - which is for the highest good of all - the opportunity to master the art of being, and patience, for not everything is acting in the physical, as if we first do not create, in the non-physical, within ourselves, with the proper clarity and discernment, then we will obtain undesirable outcomes in the physical too. On the other hand, Venus who represents the micro aspect of us - which has to do with our sense of abundance and love - towards ourselves and All - in Aries, invites us to work on self-love. Aries, the first sign of the zodiac is focused on the self, the loving energy of Venus, comes to remind us the importance that loving ourselves and attending to our own needs has - in the physical. Do you give to the point of self-sacrificing yourself, living in lack? Do you consider it more important to take care of others rather than being your own caretaker? Do you focus on loving yourself and appreciate all you are and for? Or do you consider yourself unworthy and hence tend to manifest the same lack of love in the physical? As always, the answers lie within you as well as the power to transform any challenge and/or separation within. On March 8, Jupiter, the Planet of Expansion, will turn retrograde as well as Mercury on March 22. As you may already know, I have moved on a lot from sharing about astrological events, simply because I shifted and was guided to share more in a macro level, what is happening beyond limited and in my opinion fixed cosmic events. As I do not believe there is anything ever retrograde within Creation, I leave it to you to make your own researches, for I am sure there are many wonderful people sharing about this out there. This is another opportunity to observe that nothing from the outer ever rules your human life experience and that Planets are evolving, as well as we do, they are not there to directly affect our lives, and less in a negative way. I have been observing for two years the impact of Mercury retrograde in my human experience, from a neutral perspective, for even though I do not believe it, it can be true, I remain, always, open to learn and embody higher levels of consciousness, and the only conclusion I reached was that all went well and nothing happened, and challenges, so to say, came even more when Mercury was not retrograde than during this phase, so to me, sharing about it, would be not acting with integrity. There is thought an aspect on March 14, I consider relevant: Jupiter semi-sequare Saturn. For those who are ready to bring great change into their entire human experience, if well directed, the frequency for this alignment will help you restructure your life, for its expansive frequency will push you to face truth, confront your shadows and challenges and move away from anything that disempowers you. This is a harmonic aspect for you to work on self-liberation, which as usual, involves to overcoming all that takes your human self to the limit. As the Universe is infinitely wise, on March 16, we have another alignment - Neptune quincunx True Node - that will assist those who are dissolving an old path and stepping into a new one - wanting to finally fulfil what they came here to do. Saturn, on this day, will also biquintile True Node. This event is an awakener one, for it helps those souls who are here for being of service, where they true destiny lies. Your soul mission is given to you when the human self is ready, the human age does not matter, for the soul does not care about it. Everything that has taken you to this moment - of being completely awake and conscious - has helped. Your allies and helpers, all the so called "negative people" and/ or situations - all has brought you to this conscious moment, of your human existence. If you still are working on clearing the many things required before being able to descend and anchor it, within you, then this planetary aspect will help you to awaken new gifts and integrate them. On March 17, we have another Moon, for this month has three, a New Moon at 26 degrees of Pisces. This is a very important passage, as I received, for those Pisceans, as it is my case, and/or other who simply are working in the transcendence of many old patterns/habits, to use this frequency into the total release of them all. For we are going to have a few years of self-training and opportunities to keep with the proper clearing required for us to dissolve an old self. As Pisces is the last sign of the zodiac, where we finally transcend, religion, karmic patterns, and everything that used to enslave us, this is the moment, within this final transition, for us to work on what we consider remains unhealed/dissolved. On March 20, we have the Sun moving from Pisces to Aries and the Equinox, when the energies will reach its maximum apogee. This is a day to assist, for those whose mission involves restoring Earth Grids, stabilize and anchoring the codes received from the star gates. We all can help in bringing deep cleansing and healing into the Planet. This is, at least for me, a day to spend in profound silence, away from social media, and fully focus on Earth, our own integration process as well as in bringing/anchoring this light for All. We end March by having another wonderful and stabilizing Full Moon at 10 degrees of Libra. This will equilibrate the energies that during the Equinox poured into the Planet. This is a time to work from the micro to the macro, bringing balance to ourselves as well as to anchor it within Mother Earth. Our Planet is a living organism, but once we agreed to come here, we all have different contracts, with others, and with the Earth, for our essence can help activate certain places, shift old energies still active in them and so on. And it is pivotal that we understand the importance of taking care of our Planet and help Her in retrieving lost purity, for we have been hurting her for so long, the only thing we can do, now that more souls are becoming more conscious is to bring all the healing and assistance we can. We are living under a very important time, and it is our everyday decision to keep choosing to dwell within this new frequency that we have chosen or whether you choose, again, to navigate through lower ones. The challenges, or opportunities, for it will vary for everyone, are there for us to take, at every single moment. For the human it is easier to simply fall into the egoic desires, or old habits, under the illusion that all is better now than to keep standing tall into who we are, whether others may agree or not. For others, this decision of raising through lower energies would be a carefully taken one and feel they are now where they truly desire. Beloved light Emissaries, for the ones who have chosen this path of conscious evolution and assistance to All, it is a time to focus on the light, as in truth, what we use to call dark, is also of the light. We spent eons living in the dark, integrating the shadows, and embracing them as equal, now, in this unique moment within Creation, where some of us, by conscious decision and inner work, have graduated, it is not a time to allow other people and events, especially the ones created by certain humans, to push us away from the loving frequency that we hold and move into the lower one of fear. The transition has not been easy, we cried tears of great pain, on our way to New Earth. We unremembered who we truly are, in order to recall who, we really are, in essence. Now, it is only time for crying tears of joy, for we no longer need to allow anything to dim our unique light. For those who are creating profound change in their lives, leaving 3D jobs, relationships and so on, it takes time, to dissolve a life that was inserted on us, since we were born. It takes courage, self-discipline, daily inner work, and be fully present, always, as the neutral observer, to catch yourselves in old habits and be strong enough to say no. You are retrieving the proper wisdom, within, to do so. You are regaining your freedom, freedom to love, think and be as who you truly are. Be compassionate with yourself. There is no rush, there is no final destination, what counts is the journey, and the ability to appreciate and fully live, each moment. You are not stuck, making mistakes or going in opposite directions. For all must be experienced to get to where our true soul desires are. Listen to your soul guidance, the best of all the guidance that you could ever obtain. Be patient and begin to practice love towards yourself first. The change, in the physical, can be done, we all can, if we all consciously work for it, to create all the love - abundance - and everything we need to support our human journey, I walked this path before, and you count with the same Light - Wisdom - and Divine Power, within, to transform your life, to begin again, to walk a path of love, freedom and assistance to All. It is all a matter of dissolving all the layers that impede you to true potential. All is well. You are already making the change by shifting yourself first, as you keep leaving aside the old. It all resides in the path in itself, for there is never a final stage to reach, only infinite love to be embraced and the joy that experiencing the many realms within Creation, brings. I AM a conscious being choosing, at every moment, to remain in the Wisdom and Power of my soul. I AM One with the Force that creates worlds, co-creating with it, always, and bringing forth only that which is going to be of assistance to All. I AM the dark, the light, the pain, and the joy, for I no longer feel in separation, but in unity, knowing transcendence is the ultimate experience, for humans. I AM, forever, living in possibility, for this is where the living Source dwells. I AM the Light that loves and heals everything it touches, consciously choosing to sojourn in the unconditional and loving frequency of my God Self, now and always. I wish you all, Beloved Companions, a magical, revealing, and blessed March!